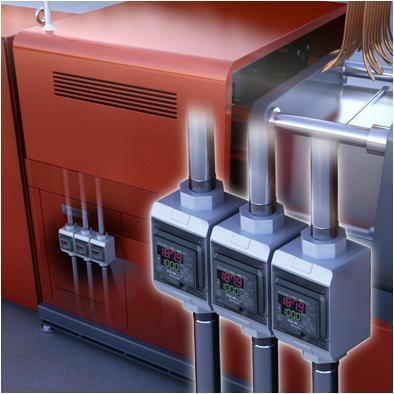 The flow of cooling water, which is essential to product quality, can be monitored without requiring maintenance through the use of the FD-M Series. Immediately detecting problems with the cooling water system helps to prevent the occurrence of “sink marks” which are caused when fl ow is reduced due to clogged or cracked pipes. With its free flowing design, the FD-M greatly reduces maintenance because not only is buildup less likely to occur, but when it does arise, detection will remain unaffected. The FD-M Series flow sensors use Faraday's Law to determine the flow rate of conductive liquids.